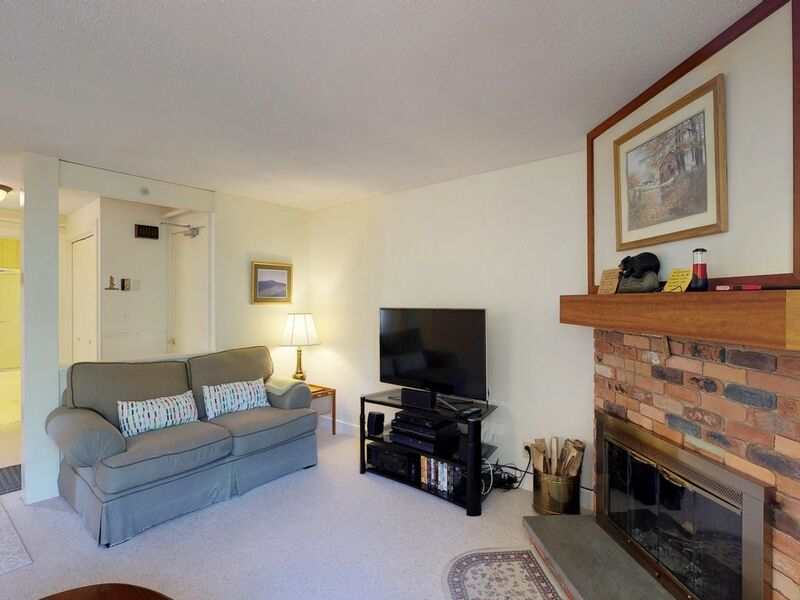 This comfy condo is conveniently located right on the side of Bromley Mountain and right across the street from the complex's clubhouse for a shared gas grill, seasonal pool, and a fitness center. The condo's many windows offer an abundance of natural light with views of the clubhouse and lush pine trees. There is also an indoor ski locker located at the main entrance to the building, so you won't have to worry about lugging your ski equipment upstairs. There are several options for places to ski and snowboard with Bromley Mountain, Magic Mountain, and Stratton Mountain all nearby. Manchester Designer Outlets shopping is just down the mountain, as is the famous Vermont Country Store in nearby Weston. This great location also offers local farms, state parks, and plenty of gorgeous New England scenery. The location was great! Unit was clean and comfortable. A few minor issues but not major. There were some dirty plates in the cabinet which was baffling. We also couldn't find a can opener which put a damper on our plans for soup and tuna. Lastly there was no way to lock the ski locker and I have very expensive equipment, I would stay again all things considered. The fees charged for this type or rental by various parties involved in the process is also getting out of control. We appreciate you sharing your experience with us, Stewart. We wish you would have called into our 24/7 Guest Services line to give us an opportunity to resolve these issues during your stay. We hope to host you again soon! Kitchen as well as the whole place was equipped so well! There’s not a thing you might need that you won’t find here! The location in Bromley Village was ideal. Close to shops, restaurants, hiking, etc. The condo was very well stocked with items needed for an extended stay and it was immaculate.